LS-DYNA is one of the best explicit finite element application software made by Livermore Software Technology Corporation (LSTC) which is used by engineers to predict impact, crash, and explosions scenarios. Vibrations, fluid flow, fluid structure interaction and many more engineering problems can be solved by using LS-DYNA. 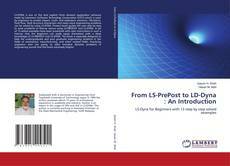 Present book guides the user step by step to solve problems of diverse nature using LS-PREPOST and LS-DYNA. A set of 13 solved examples have been presented with clear instructions in such a manner that the beginners can easily equip themselves with a deep knowledge of LS-PREPOST and LS-DYNA. This book is especially designed to help the undergraduate and post graduate engineering students in the fields of mechanical, manufacturing, and other related fields. Practicing engineers who are going to solve transient dynamic problems in engineering would find this book extremely helpful.